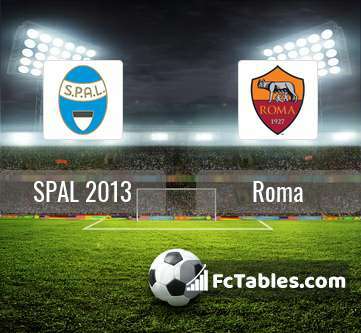 Match SPAL 2013-Roma Serie A the fixture is set to kick-off today 17:00 on Stadio Paolo Mazza. Refereee Gianluca Rocchi. Team SPAL 2013 currently is on lower place in table (16 position). Form team looks like this: In the last 5 matches (league + cup) gain 1 points. 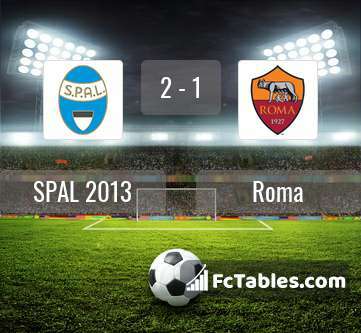 SPAL 2013 did not win the match at home from 11 games. The most goals in Serie A for SPAL 2013 scored: Andrea Petagna 10 goals, Jasmin Kurtic 5 goals, Mirko Antenucci 3 goals. Most goals developed: , Jasmin Kurtic 2 assists. The match will not occur Mattia Valoti because they are suspended (cards, etc.). Team Roma is at the top place in the table (5 place). Last 5 games (league + cup) finished balance 12 points. The best players Roma in Serie A, who scored the most goals for the club: Stephan El Shaarawy 9 goals, Edin Dzeko 7 goals, Aleksandar Kolarov 7 goals. Most goals developed: Stephan El Shaarawy 2 assists, Edin Dzeko 3 assists, Aleksandar Kolarov 2 assists. 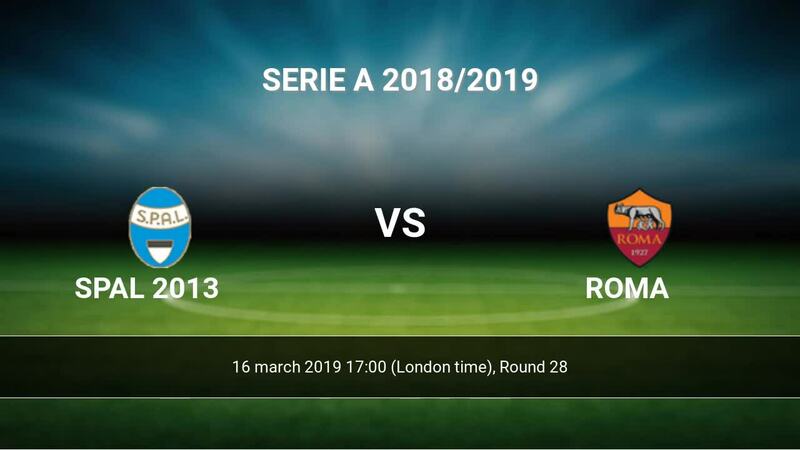 Injured players Roma: Lorenzo Pellegrini, Daniele De Rossi, Cengiz Under, Javier Pastore, Konstantinos Manolas. The match will not occur Alessandro Florenzi because they are suspended (cards, etc.). Direct matches: usually ended with winning of Roma. 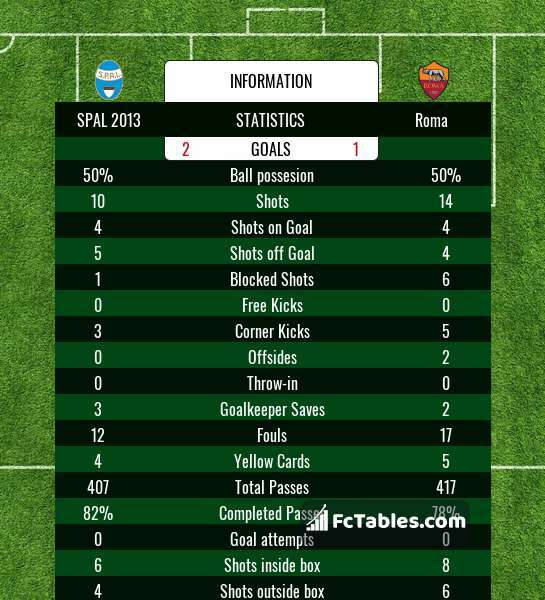 Balace of both teams games are: 1 won SPAL 2013, 2 wins Roma, 0 draws. In 2 matches the sum of the goals both teams was greater than 2.5 (Over 2.5). On the other hand, 3 matches teams scored more than 1.5 goals (Over 1.5). In 1 matches the both teams have shot at least one goal.